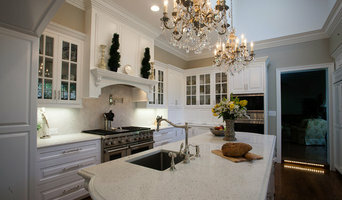 Montgomery County Leading Design Build Firm | 6x Best of Houzz Winner! We provide complete Design Build Home Remodeling and Custom Cabinetry Services throughout the Greater DC, Maryland and Northern Virginia suburbs. Trained in Italy for over 10 years, Barry Stohlman is a master of old-world custom cabinetry. Barry always provides personal attention to each project, spending time with customers to ensure their desires are understood and fulfilled. Devoted to his family, his faith and his craft, Barry lives in Kensington , Maryland with his wife and 8 children. With decades of renovation and construction experience, Pat Kilner is an expert in his trade. He founded and grew his company Superior Structure, Inc., on values of attentive customer service and excellent craftsmanship. Now in partnership with Barry Stohlman, Pat continues to stress a relational business model, building friendships with his clients throughout each project. Living in Kensington, Maryland, he and his wife have 9 children and 8 grandchildren. We are a custom design builder of additions, home renovations, and custom homes. The most important aspect of our business is exceeding our client’s expectations while building exceptional quality into every project. This in turn builds a client base that we work with again and again. Nearly all builders claim to be custom builders, but "customizing" options may be limited to choosing between two types of cabinets and three flooring options. Winthorpe is able to design & draw plans,work with challenging existing conditions, and your specific tastes to pull together a well-conceived, aesthetically pleasing, and lifestyle functional result. 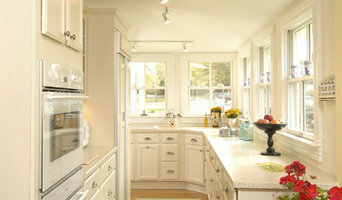 The scope of our work can be large or small; from large custom homes to smaller renovations. Our work includes: Renovation, Additions, Kitchens ,Custom Homes, Bathrooms, and Whole home renovations As Scott explains,"We need to get to know our customers as individuals before we begin a job. From there, I think it's our job to guide them through the project. Projects are more than just blueprints! Our distinction lies in how we reach solutions that will satisfy the homeowner." Again, the most important aspect of our business is exceeding our client’s expectations and ensuring their happiness. That's why Winthorpe's greatest source of business is from customer referrals and repeat business.The best way to understand what we are about is to call us. You'll soon see why homeowners love to work with us! Design-build firms take on the responsibilities of architects, contractors and construction companies, all under one roof. These full-service firms focus on a streamlined design-build process — from the initial design to the estimating phase to physical construction — in the hope of creating an efficient experience for both the client and the company. Because the entire project is happening within one company, Kensington design-build firms are able to overlap the design and construction phases of the project, which often speeds up the project significantly. In addition, these firms work to minimize risks for the project owner through single-point responsibility contracts. However, depending on the firm, you may still want to contact an interior designer or architect to help create the exact look you want. Here are some related professionals and vendors to complement the work of design-build firms: Interior Designers & Decorators, Landscape Architects & Landscape Designers, Architects & Building Designers, Photographers. Before deciding on a residential design-and-build company in Kensington, MD, think about what you want from your new home. Do you want a large kitchen for entertaining? Do you need several bedrooms for children and guests? Do you want a finished basement for extra space or storage? 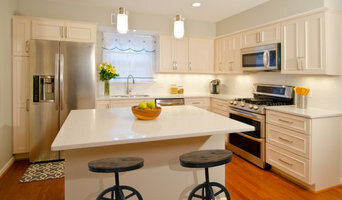 Look for Kensington design-builders that specialize in the areas you're looking for. Budget is obviously a determining factor in the outcome of your project. To make sure you stay within your means, consider making a must-have list and a wish list. Gauge where the estimates are falling to determine which design-build contract can realistically strike the balance between the two. Find a Kensington design-build company on Houzz. Narrow your search in the Professionals section of the website to design-build firms in Kensington, MD. You may also look through Kensington, MD photos to find a pool you like, then contact the design-build firm that created it.